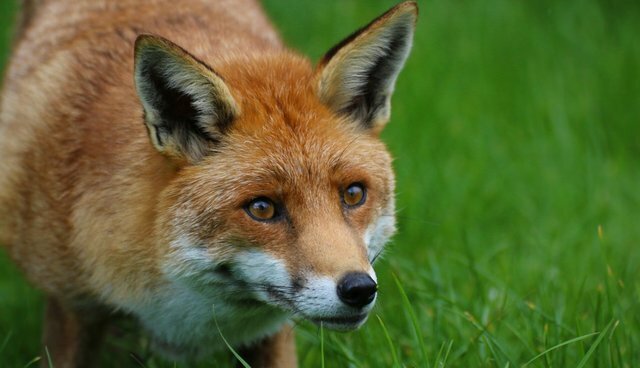 Red foxes are globetrotting wunder-canids - the most widely distributed carnivore in the wilderness. They can be found across the Northern Hemisphere, having originated somewhere in Eurasia a few million years ago. Now, scientists say they've tracked the American red fox back to a single group who crossed the Bering Strait from Asia into Alaska 50,000 years ago. University of California, Davis researchers believe that a small band of foxes was responsible for the population in North America, based on comparisons of mitochondrial DNA from roughly 1,000 foxes around the world. Mitochondrial DNA gets passed down only from mom, not from both parents. The researchers found a similar maternal DNA thread, distinct from that of Eurasian foxes, that spools through American foxes, they reported last week in the journal Molecular Ecology. That's contrary to the idea that foxes were mingling back-and-forth across continents 400,000 years ago. "That small group that got across the Bering Strait went on to colonize a whole continent and are on their own evolutionary path," stated Mark Statham, a veterinary geneticist at UC Davis and an author of the study. In the span of 50,000 years, the red fox has taken to North America with gusto. How many red foxes there are in the United States at a given time fluctuates with how much food is available, but broadly speaking the populations are healthy (though certain non-native subspecies are expanding their range, to the detriment of local foxes). As Washington, D.C., park ranger John Purcell points out, the National Mall might not have bison or grizzlies, but it's home to at least a few fleet-footed foxes.